I had to reinstall win10 and now I have problem with importing passwords. Bookmarks work's correctly but magic fill won't. I used Maxthon Shared Account. Sorry for inconvenience caused. 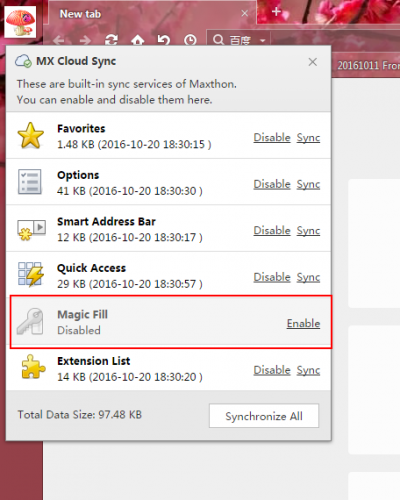 I guess you may be using installation version for your Maxthon browser. Please note that in MX4 version, magic fill passwords sync was disabled by default. You need to enable it by yourself if you want these information be sync automatically. Have you done that before you reinstalled your OS? If it true you made me sad.. I'm sorry for that but it is the fact unfortunately. 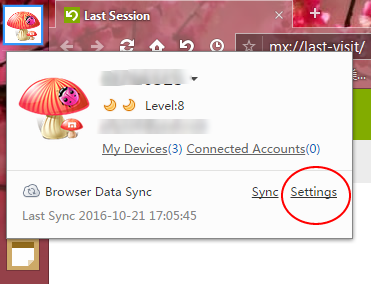 See my attached two snapshots: click your avatar, and click "Settings", you will see the detailed sync situation. By default, Magic Fill is disabled and you need to enable by yourself. This default is required because some users think the passwords are their privacy and don't want to be synced to cloud without their awareness.